Integrated Computer-Aided Engineering (ICAE) was founded in 1993. “Based on the premise that interdisciplinary thinking and synergistic collaboration of disciplines can solve complex problems, open new frontiers, and lead to true innovations and breakthroughs, the cornerstone of industrial competitiveness and advancement of the society” as noted in the inaugural issue of the journal. The International Journal of Neural Systems is a bimonthly peer-reviewed journal which covers information processing in natural and artificial neural systems. 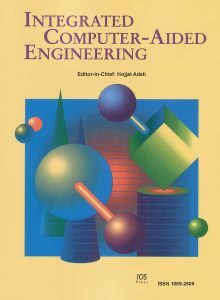 It publishes original contributions on all aspects of this broad subject which involves physics, biology, psychology, computer science and engineering.